Is This the Last Chapter of Steve Sullivan's Career? Is This the Last Chapter of Steve Sullivan’s Career? On April 3, 2013 Steve Sullivan’s career came full circle — he was traded by the Phoenix Coyotes to the team that drafted him in 1994, the New Jersey Devils. His time between stints with the Devils was 16 years, 45 days, the third longest amount of time between stints with one team in NHL history. Now in his 15th NHL season this could be the end of the line for Sullivan who has had quite the memorable career, especially during his time with the Nashville Predators (2004-20011). Sullivan was re-acquired by the Devils at the trade deadline as a possible complimentary piece to solidify New Jersey’s squad as they attempted to return to the Stanley Cup Finals. Unfortunately for both the player and the team it hasn’t worked out as planned: the Devils have continued their colossal slide (winless in ten straight, five straight with Sullivan) and he has netted only one PP goal and one assist since returning to his original employer. The 38-year-old had noted after a recent game that he had been ‘snake-bitten’ this season in Phoenix and that trend has mostly continued with the Devils as he has found goal posts and crossbars with regularity in the five contests. Steve Sullivan said he was snake bit in Phoenix when he arrived in NJ after the trade and it's definitely carried over. The bad luck that has surrounded New Jersey’s hockey team since March 23 has been pretty astounding as the Devils have struggled to win a game without their best offensive player (Ilya Kovalchuk shoulder injury); despite outplaying their opponents in 90% of the games during the losing skid they have only come away with 4 of a possible 20 points. But that’s hockey and until the team is mathematically unable to make the playoffs they will keep showing up to work and trying to change their luck. Maybe he was literally bitten by a snake in the Arizona desert. He will be a free agent at season’s end and after such a challenging career, including missing 23 months with a serious back injury (2007-09); he may hang the skates up for good. 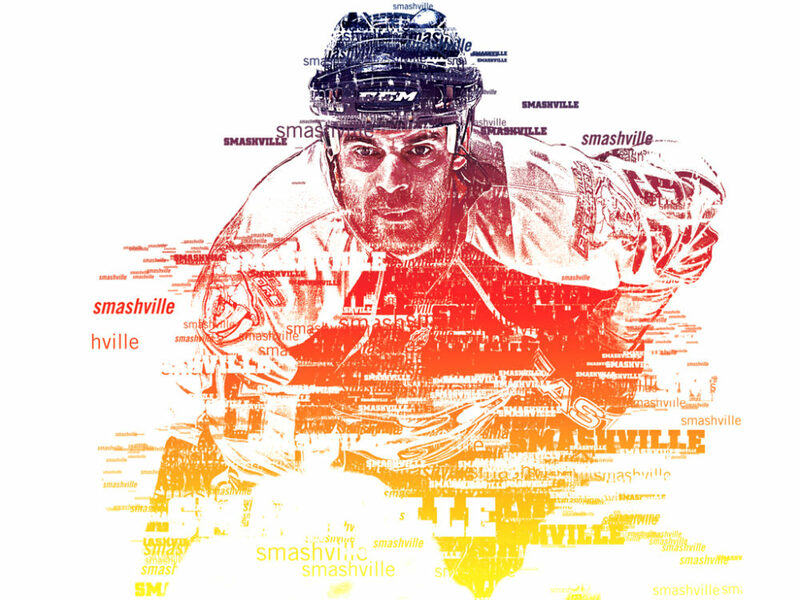 If he returns for a 16th season, the two likely destinations would be in remaining in New Jersey and back to Nashville where he has said he would like to retire. Sullivan was kind enough to talk to the Hockey Writers for a few minutes after a recent home loss to talk about his career coming full circle, what it’s like to be traded and how special it was to play his 1000th NHL game in the city he called home for so many years. The Hockey Writers: Have you ever been a part of a stretch of hard luck like your team is currently in? THW: What are the emotions like for you when you get traded at the trade deadline? THW: When you hear you are traded to New Jersey does that make it easier in the fact that there are people here who you know and have a past with? THW: You recently played your 1,000th NHL game (March 28, 2013) and it was in Nashville, a place you are very familiar with; what was that experience like? 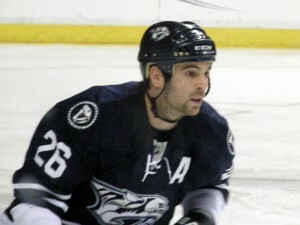 The fans in Nashville still love Sully, after all he had a hat trick in his first game there in 2004!